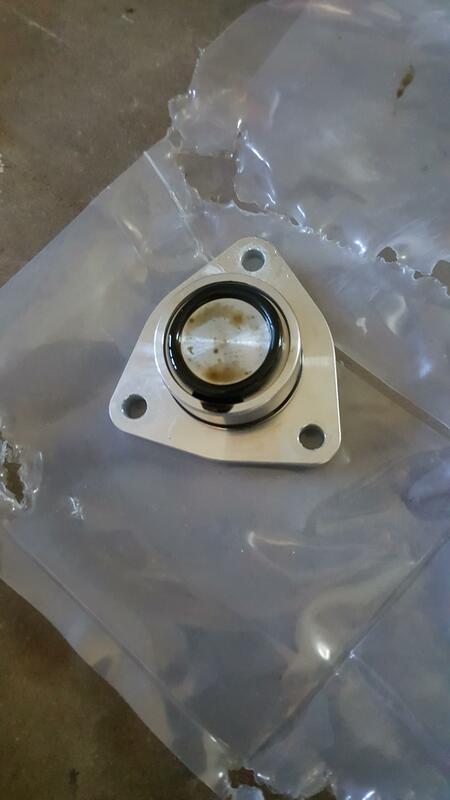 When I removed the block off plate to install the BOV there was alittle bit of oil inside the bottom of that cavity and on the o-rings on the block off plate. Could this be from the turbo seals. still within warranty? pre-MY16? there was a turbo recall for the older cars where they replaced the entire turbo due to some chance of foreign material getting into the turbo and engine. I don't have the exact details if you dig around on this forum you may find it. mine 15 was the same and no check engine. Well car is at the dealership, the mechanic said the little bit of oil is normal, my codes is for pcv, which he said he would not worry about it, CEL might stay on from the mods, that might have been caused by the ams intake and Bov, and another code for variable oil pump, which is in the oil pan, and would have to drop the oil pan, and said it could be brittle wires also to the pump, he asked if I had tune which is no, because he said it is running at maxium duty, but will look at it tomorrow morning with the shop forman before having to drop the oil pan. Sounds expensive. He said most 45's don't have mods when they come to the dealership. Does the 45 have a pressure gauge, I know it has temp, but does it also act as a pressure gauge if there is no pressure. My guess is probably not. After diligent perusing... I had to sign up - Canada CLA Owner!